The number of migrants arriving on Spain’s southern coast has more than doubled in 2017 compared to last year, as they avoid passing through conflict-wracked Libya on their way to Europe. 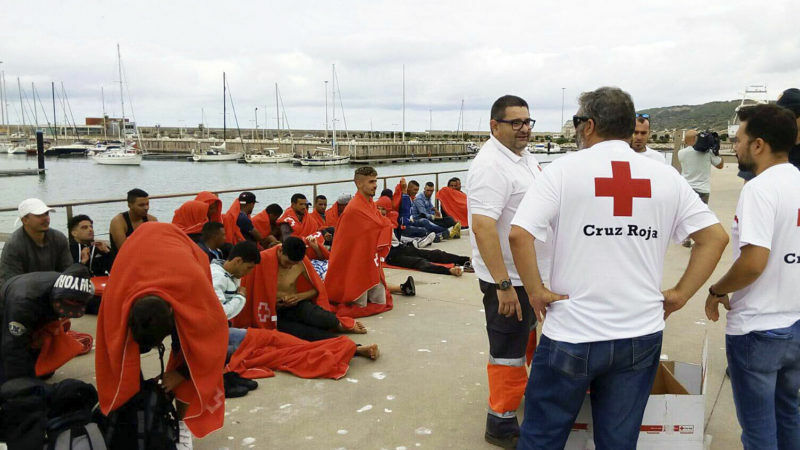 Eight boats carrying 380 people have been rescued since Wednesday (5 July) in the Alboran Sea, which connects northeastern Morocco and southeastern Spain, in the Western Mediterranean. “We are worried because we are seeing numbers which we have not seen in years. And it’s a dangerous area, where the currents are very strong,” said the spokesman for the Spanish branch of rights group SOS Racisme, Mikel Araguas. Last week, an inflatable dinghy that had apparently set out from Morocco with 52 people aboard was flipped over after being hit by a strong wave. Only three survivors were rescued by the Spanish coastguard. The United Nations Refugee Agency (UNHCR) called it “the worst tragedy in the last decade in the Spanish Mediterranean” involving migrants. The Italian sea route remains the most popular for migrants. Italy has accepted around 85,000 of the 100,000 people who have arrived in Europe by sea this year according to the International Organization for Migration (IOM). But the Spanish route further west is gathering pace. Between January and June, more than 6,400 people were rescued at sea between Morocco and Algeria and Spain, according to the IOM, compared to 8,100 during all of 2016. 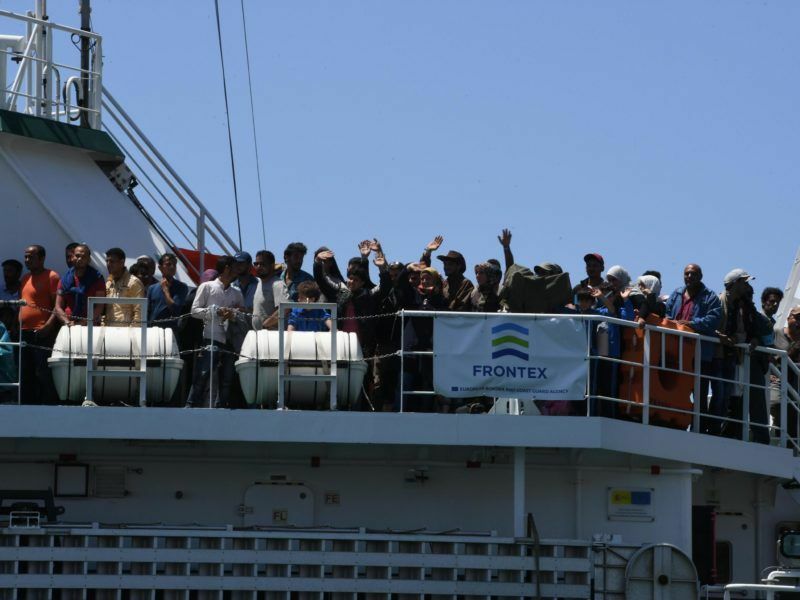 The figure is close to the more than 9,000 migrants who arrived in Greece during the period. The vast majority of migrants who come to Europe are sub-Saharan Africans fleeing poverty or conflict in their home countries. Most leave nations such as Guinea, Gambia or Ivory Coast and make their way to Libya where they hope to cross over by boat to Italy. But word is getting out that this route is becoming more risky, with “ever harder controls”, said Helena Maleno Garzon of migrant aid agency Caminando Fronteras. Many migrants passing through Libya, wracked by chaos since the 2011 toppling of dictator Muammar Gaddafi with rival militias and administrations seeking to control the oil-rich country, have reported dramatic tales of abuse in the country. Migrants have reported being sold “on a slave market”, according to the IOM. Amnesty International has complained of migrants being tortured and jailed while the UNHCR has published reports by migrants of “appalling” conditions at Libya’s migrant detention centres. As a result, some migrants prefer to make their way to Morocco or Algeria and from there cross the Mediterranean to Spain. Adding to the appeal of this route is the fact that the sea crossing is shorter and it costs less. Prices charged by people smugglers have fallen to around €900 per person, compared to €1,500-2,000 in 2016, said Andres Garcia Lorca, the Spanish central government’s deputy delegate in the southern province of Almeria. Morocco also appears to have softened its controls, said Araguas. European Union border agency Frontex for its part says it has not noticed “any change in border vigilance” on the part of Morocco. Recent social unrest in northern Morocco’s Rif region also appears to have added to the migratory pressure. “There were numerous migrants from the Rif region in the month of June, there had not been so many Moroccans since the 1990s,” said Maleno. The risk of dying does not deter migrants. Over 2,200 people have lost their lives this year trying to cross the Mediterranean Sea from North Africa, according to UN figures. “It is urgent and necessary to be aware of the seriousness of the situation. They can’t continue to close doors,” said the president of migrant charity Andalucia Acoge, Elena Tajuelo. Spain’s interior ministry did not respond to requests for comment.